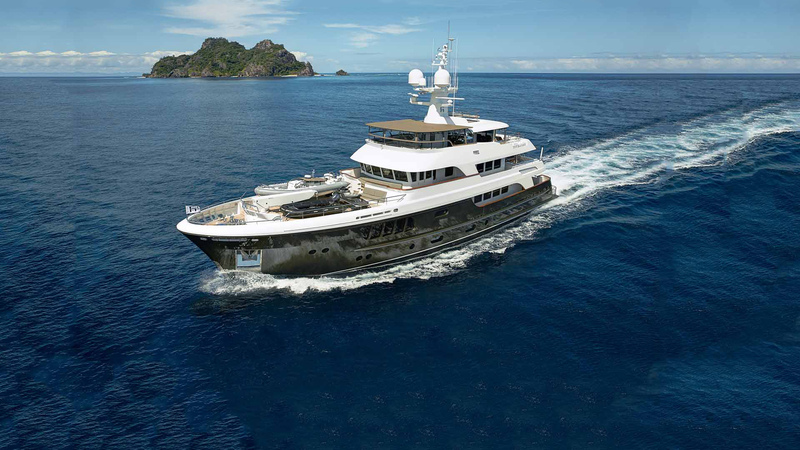 CaryAli is an Explorer type motoryacht with a steel hull and aluminium superstructure, purposely designed for long voyages. She was designed for an experienced couple. Although only 39 metres long, her gross tonnage is close to 500. 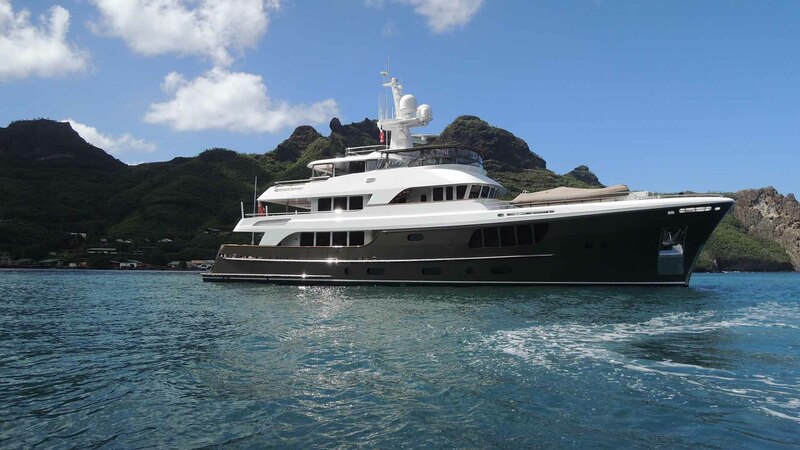 This means she offers unsurpassed interior and exterior room for her length, ample stowage, and plenty of deck space for toys. Such a high-volume concept challenges a designer to keep the exterior appearance graceful, but we have done so with carefully balanced proportions and stylish curves. 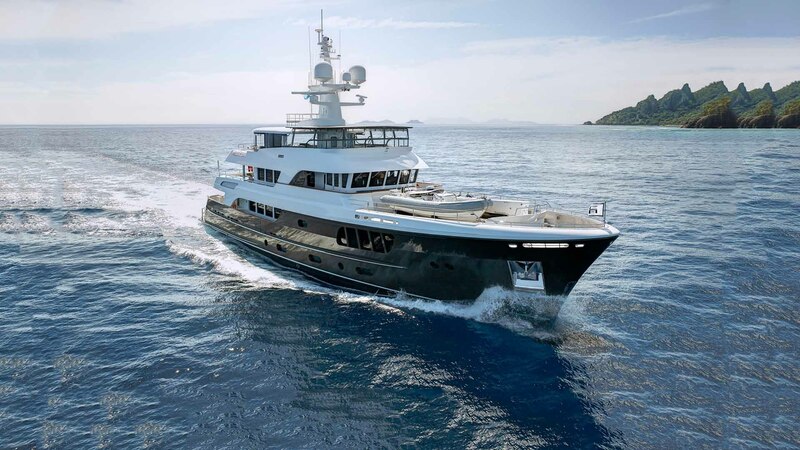 Every inch of her looks solid and built for the sea, yet equally refined and timeless. The living spaces create varying climate zones, illustrated by the possibility to open up the enclosure of the recreational areas on the two Upper Decks so one can take full advantage of the outside ambience. Her optimised hullform, with bulbous bow and zero-speed stabilizers, offers great comfort underway and at rest, and shrinks the fuel bill. Still, she will reach a maximum speed of 15 knots. CaryAli has sailed the Pacific and Atlantic oceans on her own keel. 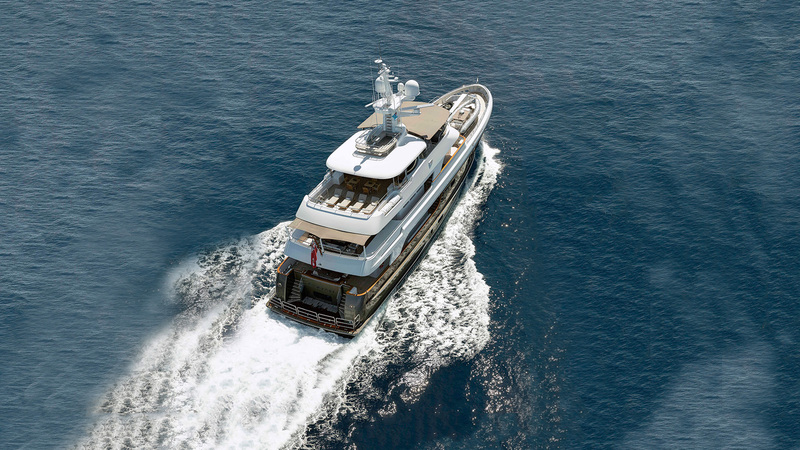 CaryAli has received great industry recognition by winning the 2013 International Superyacht Society Award for “Best Power 24-40m,” the 2014 ShowBoats Design Award for “Design and Styling” and the 2014 World Superyacht Award for “Best Exterior” in her class.